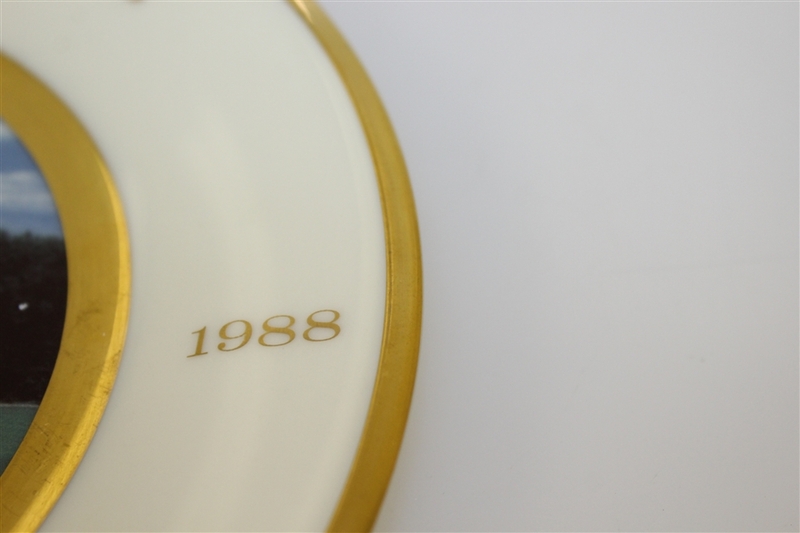 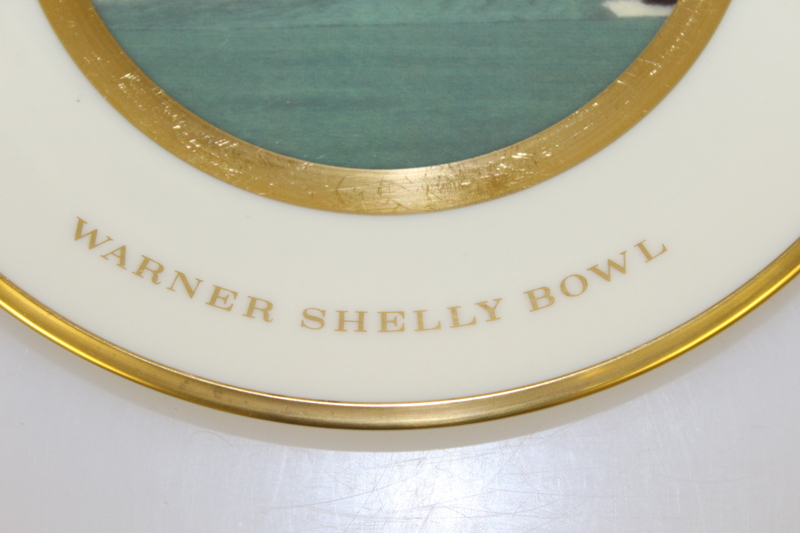 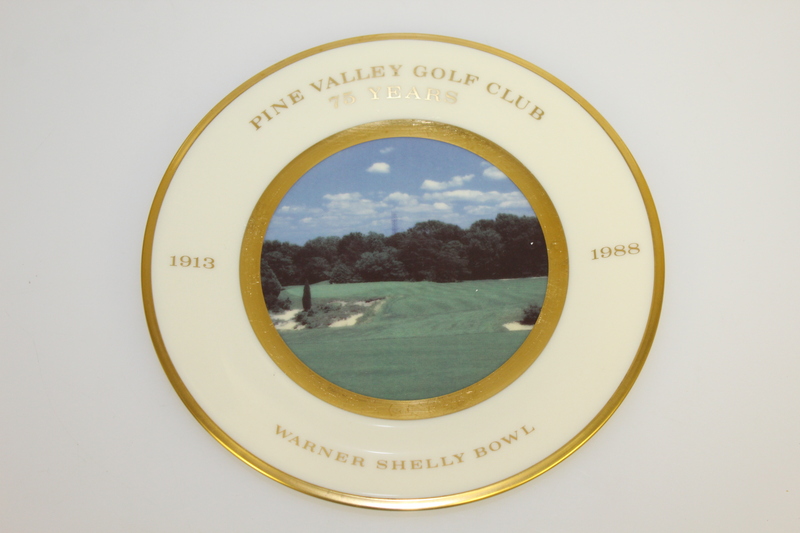 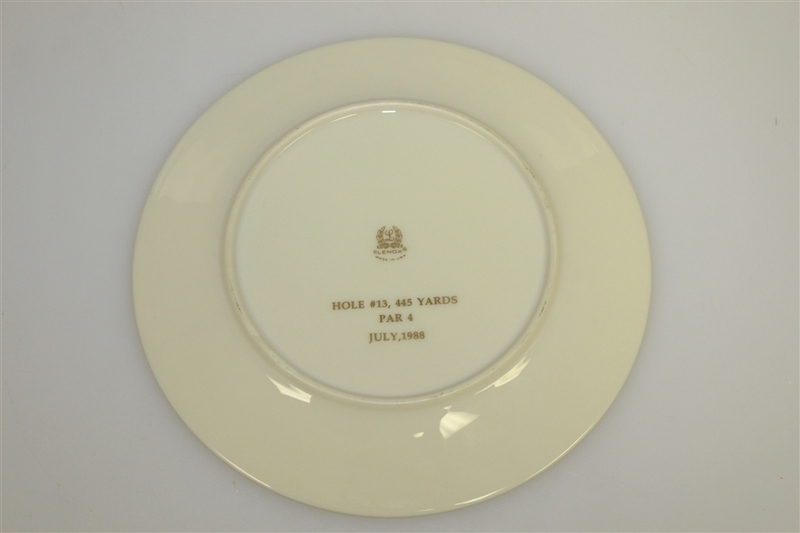 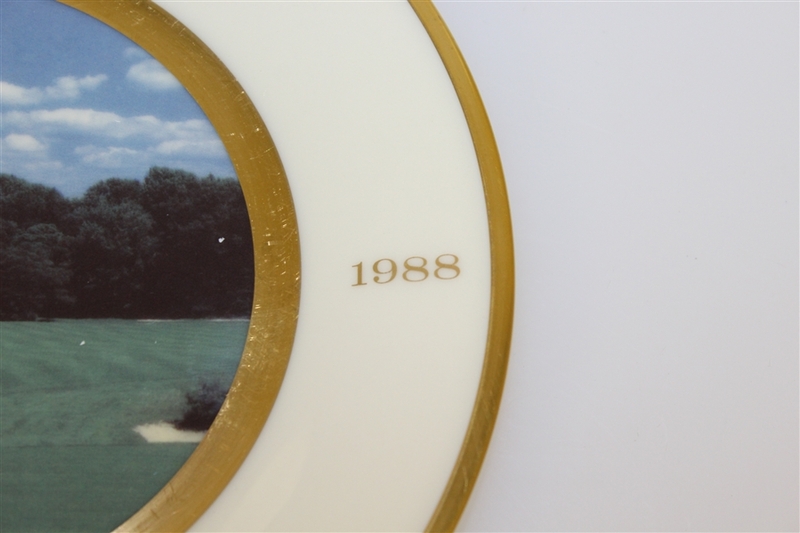 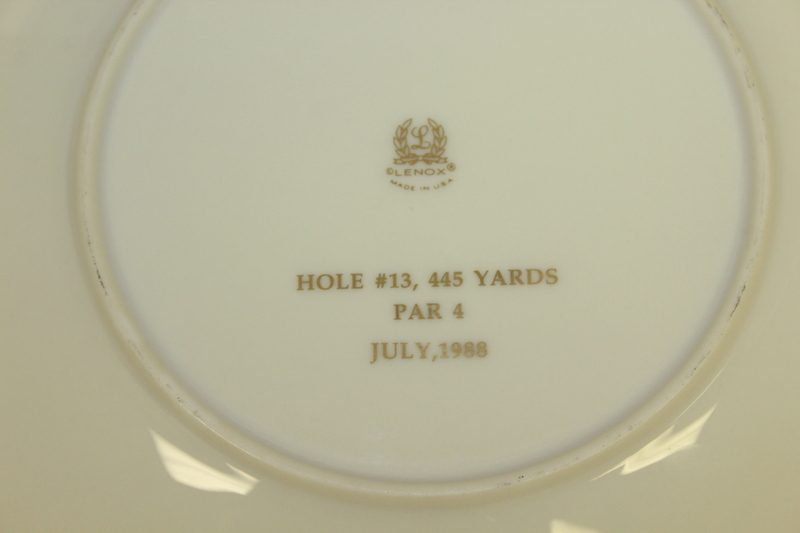 Here we have the 1988 Pine Valley member's gift Lenox plate in the original box. 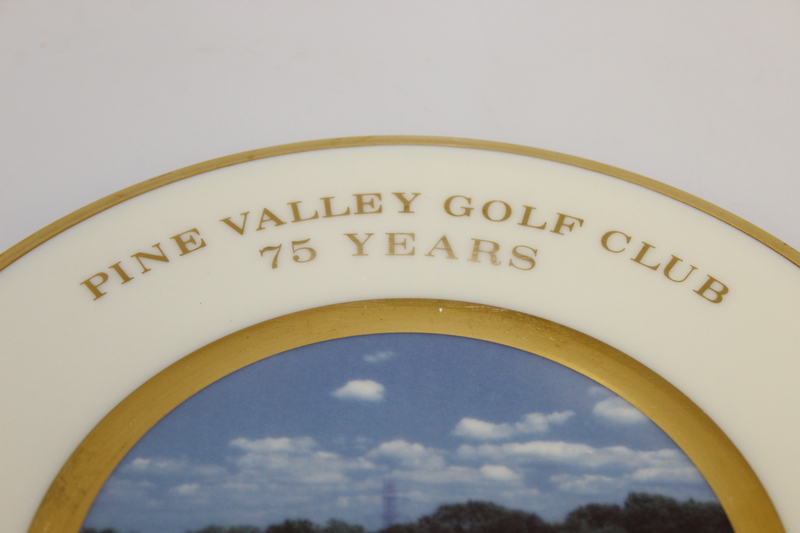 Pine Valley was founded by a group of amateur golfers and designed by one in particular- George Crump. 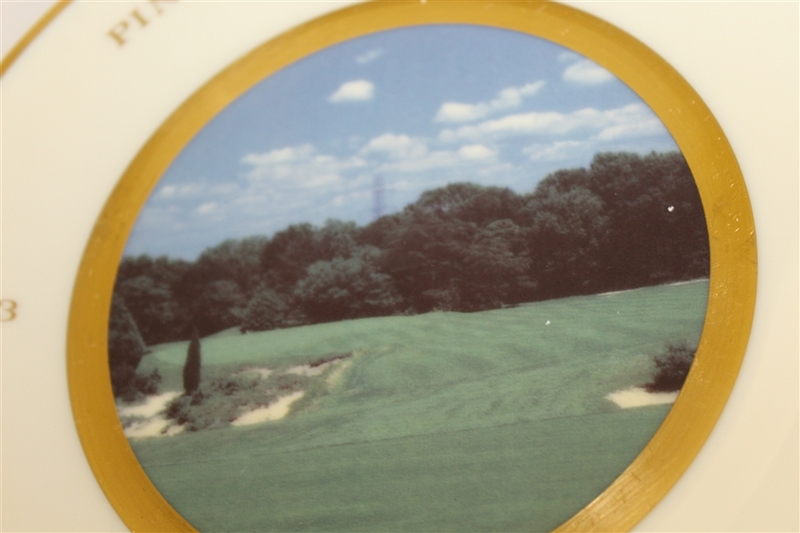 Crump was familiar with the area and had grand ideas while designing his first and only golf course, such as one should use every club in his bag while playing the course, consecutive holes shouldn't play in the same direction, etc. 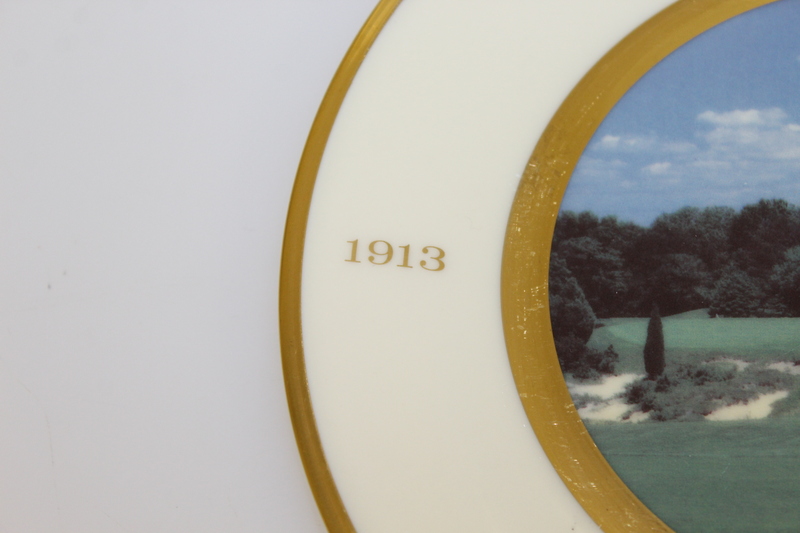 Sadly Crump died in 1918 before finishing his dream of a complex and intriguing course. Pine Valley to this day is perennially one of the top courses in the country.